Edit Flow was bumped up to v0.3 last week and saw a flurry of other updates as bugs cropped up that we managed to miss during the testing phase before release. The main focus of this release was to introduce usergroups, which will form the basis of future features and to enhance the notification functionality that was introduced in the previous version. Much of the feedback Edit Flow received since the email notification were introduced centered around having greater control over who receives notifications. Previously, post updates were emailed to authors, editorial commenters, and any roles that had been selected to receive notifications. Many people were drawn to the notification feature but were forced to keep it disabled since they didn’t want all their editors or administrators notified on every single post update. With the new release, you can specify on a post level, what users and usergroups should receive notifications, so that only relevant individuals and groups of individuals receive updates. 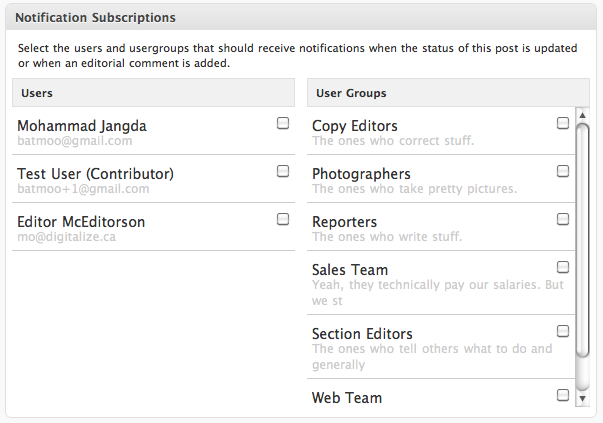 Have specific users or usergroups automatically subscribed to posts based on categories or tags assinged to posts. Make the UI a bit more efficient. The UI for this new feature is something that was unfortunately rushed. My original vision didn’t quite make it in (due to various impracticalities, changes, and lack of time), but it’s very much a high priority on my list to make it easy to select users/usergroups (especially for installs with hundreds and thousands of users). Still a little crude at this stage, this new widget gives you a list of the most recently updated posts that you’re following. However, this widget will likely form the basis of the activity stream, which will provide an audit trail of activity happening within the WordPress admin. Thanks for the great plugin! I was looking for workflow management for quite a while. I’m not sure, however, how to use it for my purposes. Basically the posts on my site are taking the way from author to the editor in chief, possibly to language editing, then to publishing. 1. Members of particular usergroups can only access/change posts with a predefined status. E.g. 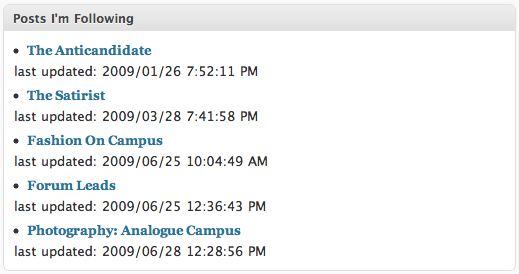 copy editors can only access/change posts with “editing pending”. 2. Members of particular usergroups can – after they have finished working on that post – change the status only to a predefined set of statuses. E.g. copy editors can only leave the status as it is or change it to “final revision pending”. 3. 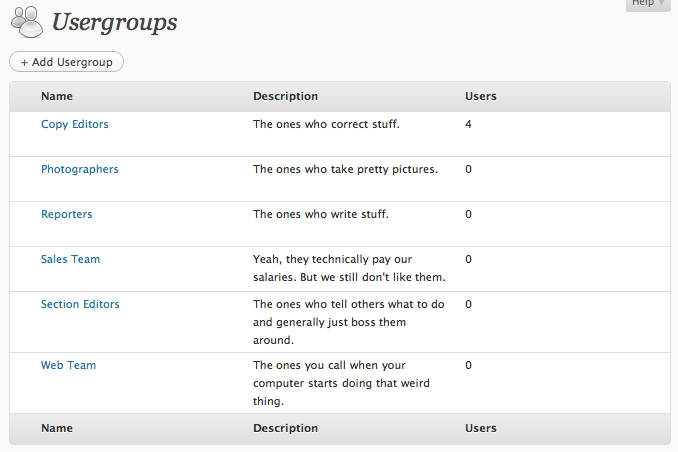 Members of particular usergroups receive a notification if a post is set to a predefined status. E.g. copy editors receive a mail when ever a post’s status is set on “editing pending”. Is that possible or can it be implemented? Thanks for the feedback Christoph! We’re going to add some filters in likely the next release that should make this possible. It will involve writing some code though, but what you’re trying to do should be doable. Mo, I was wondering if this has been implemented in 0.6.3 yet. I’m the SEO for our website, and I only want to be notified when someone changes the status of a post or page to “Ready for SEO.” I might also want to be notified when its published, or have the option to pick which status changes I’m notified about. I just read the “Code Sample: Filtering Custom Statuses by Role” post, but I’m not sure if this does what I’m looking for.